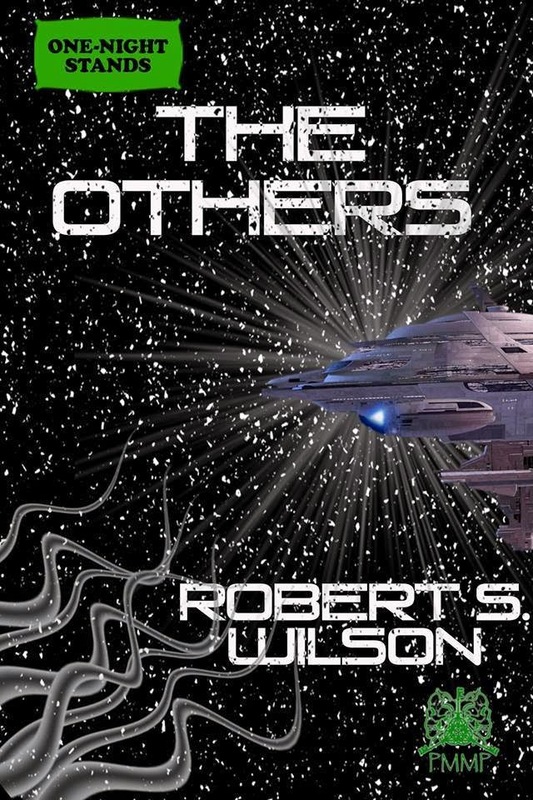 The Robert S. Wilson Thrown-Together-at-the-Last-Minute-Due-to-An-Overwhelming-Amount-of-Procrastination-and-Indecision Blog Tour and Book Giveaway Contest! I'll be releasing four new titles this month as well as a revised and extended edition of my first published novella, THE QUIET. In order to celebrate these releases, I'm doing contests, giveaways, and a blog tour all month long and even pushing a little bit into October! due out on September 23rd (which the voices in my head won't let me get away without mentioning is also currently available for pre-order for Kindle on Amazon!). Thirteen tales in all. Awakened from the mind of Robert S. Wilson. Ripped from their slumber and stretched across the fabric of space and time, silently screaming into the farthest reaches of the cold dead void... where all light is left to die. But there's obviously more in store this month. 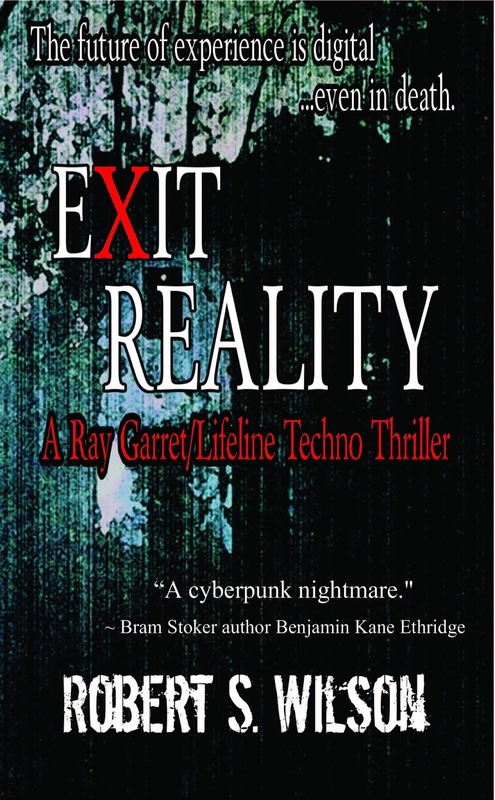 My 2013 novella EXIT REALITY introduced folks to another side of my writing. One in which the very likely near future plugs our brains directly into the internet. A vast network of connected minds sharing experiences and memories both real and completely fabricated through a service known as the Lifeline. And it also introduced my character Ray Garret, an Antivii agent in charge of investigating murders in the dark shadowy tunnels of the Lifeline. Because when you connect yourself into the Lifeline, you don't just risk revealing personal information... you risk your very life and mind. Seven days after the release of WHERE ALL LIGHT IS LEFT TO DIE, September 30th marks the coming of a new stand alone novella in the Ray Garret/Lifeline series. 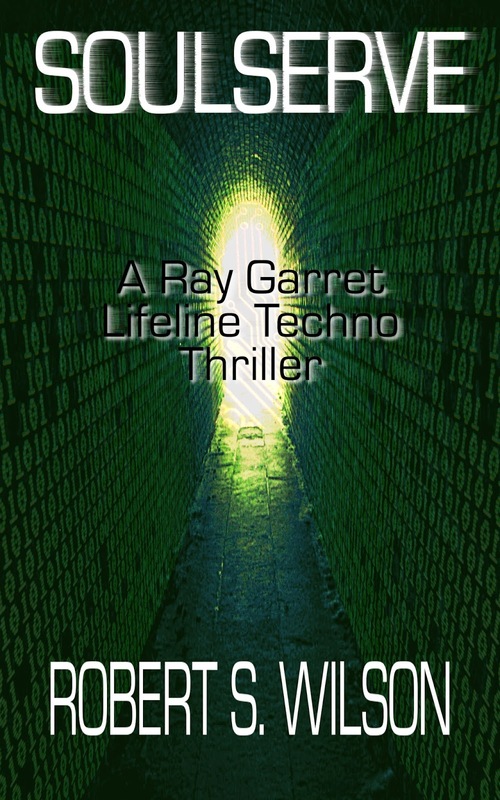 One I've been working on since I was still in the writing stages of EXIT REALITY, over two years ago: SOULSERVE: A RAY GARRET/LIFELINE TECHNO THRILLER! SOULSERVE is set chronologically before EXIT REALITY and it's not at all necessary to have read EXIT REALITY first, but you could possibly get more out of it if you have. At the same time you might enjoy reading the two stories in chronological order. I certainly welcome you to read them both in some order if you haven't already read EXIT REALITY yet. SOULSERVE is also available via Kindle pre-order RIGHT NOW! 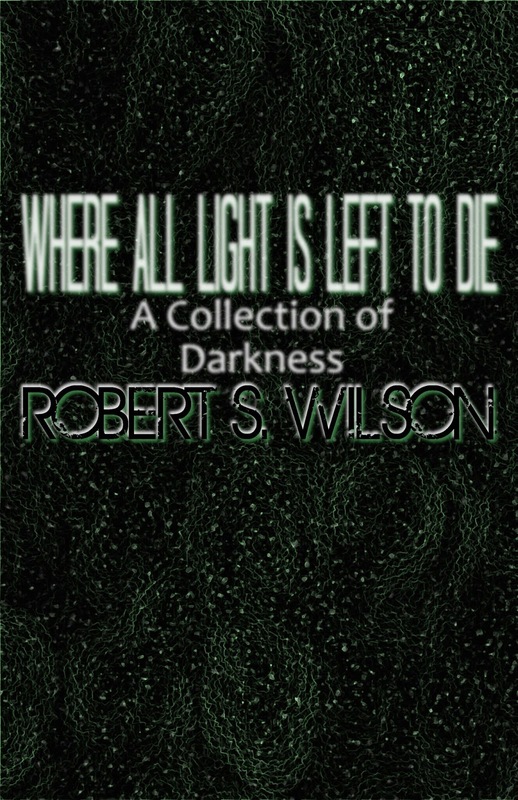 Lastly and a bit out of order, on September 23rd, I'll be releasing two stand alone novellas which will also be available in WHERE ALL LIGHT IS LEFT TO DIE for those who would rather read a single piece and don't enjoy collections (there are some out there...). THE NESTING PLACE (also currently available for Kindle pre-order) is a brand new science fiction novella from me that, while it does take a few steps on the dark side as most of my work usually does, it deviates from my norm in a more focused way. It tows the line between general science fiction and hard science fiction, and with mixing scientific ideas like m-theory, zero point energy, and supervoids, it is probably one of the most ambitious SF pieces I've written to date. I'll let my readers decide if the final story holds true to that ambition. 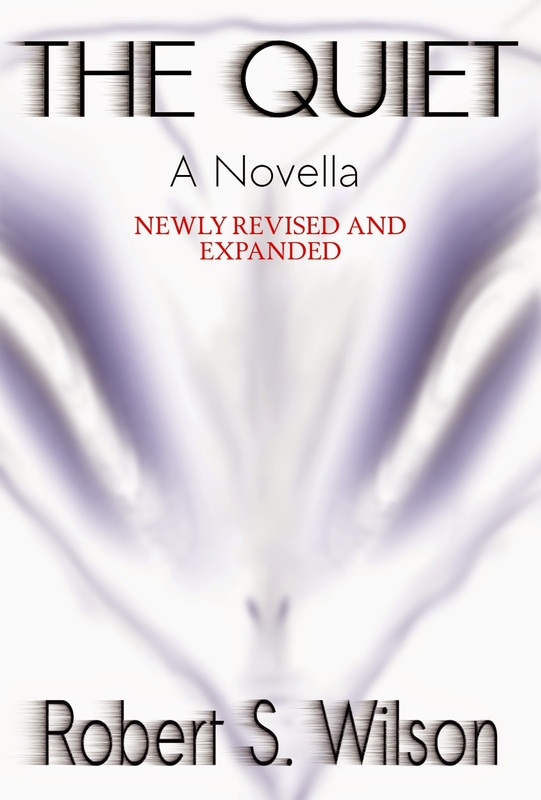 And finally, I'll be re-releasing my novella THE QUIET in Kindle format in a newly revised and extended edition that will replace the original version. For those of you who purchased THE QUIET for Kindle before, I believe it should update for you. 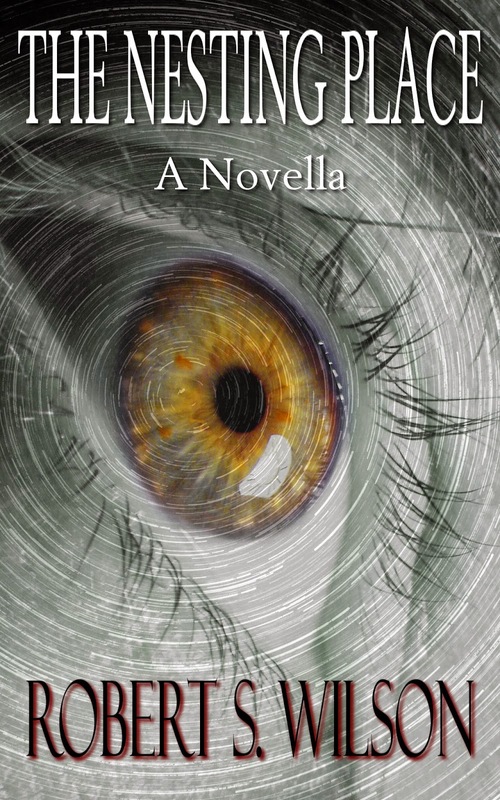 If for some reason it doesn't come September 24th, email me at shiningincrimson@gmail.com and I'll make sure you get a copy of the newly updated novella. With all that said, you can celebrate these releases with me here on my blog but even more so on THE EVENT's FACEBOOK PAGE! I'll be giving away books, I'll be doing contests to win more books... and there'll be plenty of other fun stuff going on along the way. So come join the party over there for the most up to date posts and interact with myself and others who I've managed to sucker into coming along for the ride!